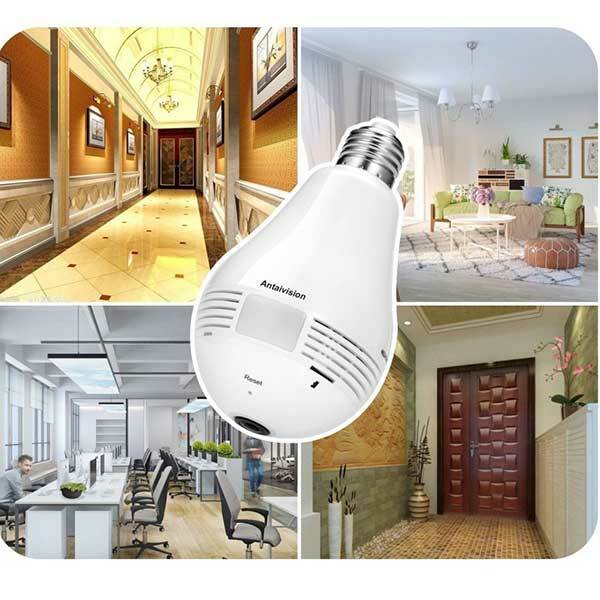 The Antaivision wireless light bulb with hidden camera allows the owner to record and live stream video with its 360-degree panoramic camera. The camera, along with built in 2-way audio, allows the owner to see and hear what’s going on at home while they’re at work or away. 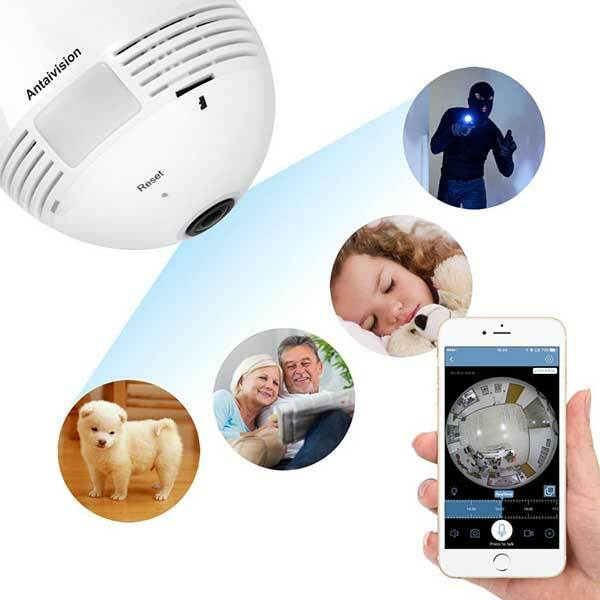 Its motion detection function sends alerts right to your smartphone. The hidden camera light bulb works great as an office or home security camera. 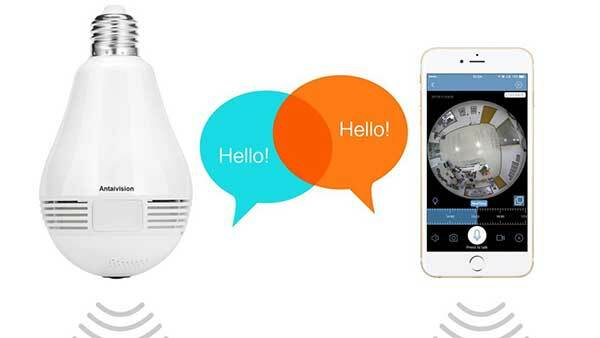 This light bulb with a hidden camera allows the owner to view 360-degree live video feed of their home, office, or apartment wirelessly through WiFi. With this handy tool they won’t have to feel uneasy about coming home to their home or apartment alone. Using the free application, they can live stream high resolution (960x1280p at 25 fps) video right on their smart phone or tablet, sound the alarm, and/or hear and talk through the audio system. Makes a perfect gift for someone that might want to check on what’s going on at home while they’re at work. They can check to see what the dog or kids are doing while they’re away. Makes a good housewarming gift or gift for someone comes home to an empty house.